Summerhouse with Hobbit stove and flue kit. Installing a stove into your summerhouse will prolong the season that you use the space. It will also help keep the space free from damp if you are able to use it all year round. With a small stove to keep you cosy your summerhouse will soon become a snug little retreat for you to escape to. 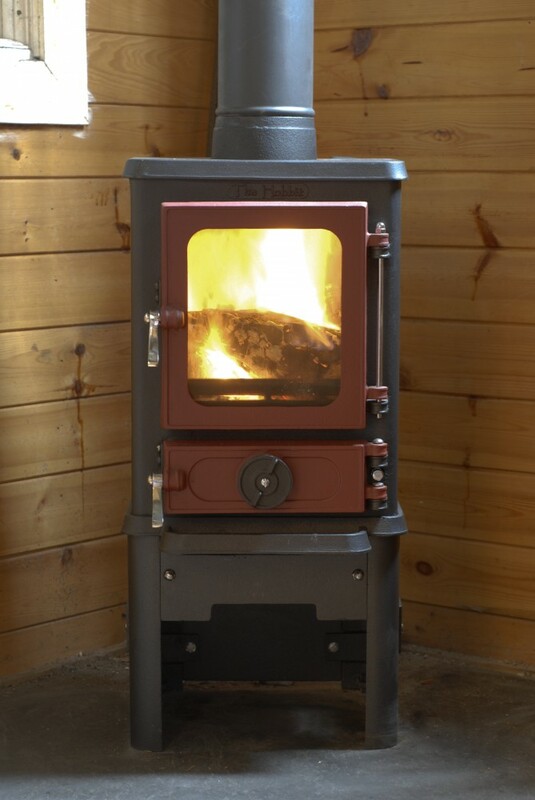 The stove installation in a summerhouse is just the same as for a cabin, garden room or shepherds hut due to the proximity of combustible materials. 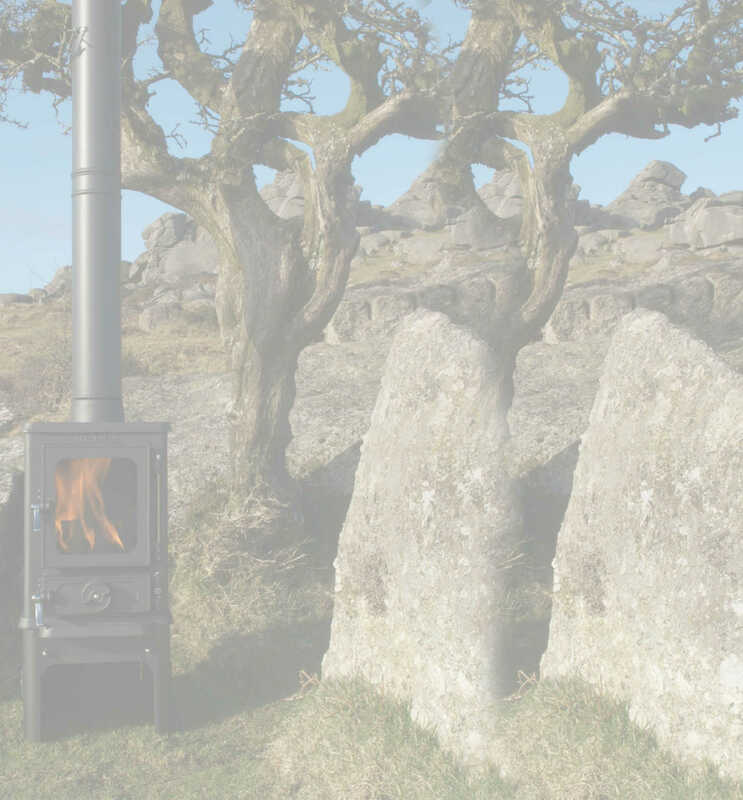 Please send us a pic of your summerhouse or garden room , inside and outside and I will then work out the flue kit required for you to install a small stove into your summerhouse. OFF GRID LIVING – 1. 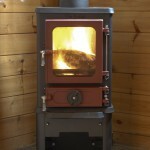 How to install a tiny wood stove in a shed. 1 x 100mm diameter single wall vitrelux to 125mm diameter HT-S twin wall adaptor. 1 x 1000mm twin wall stainless HT-S flue pipe. 1 x 30 degree stainless steel trim plate. 1 x HT-S 125mm 30 degree aluminium roof plate flashing. 1 x HT-S 125mm aluminium storm collar. 1 x HT-S 125mm stainless steel standard cowl. The wall behind the stove has been shielded using fire rated plaster board to reduce the distance the stove is adjacent to the wall. 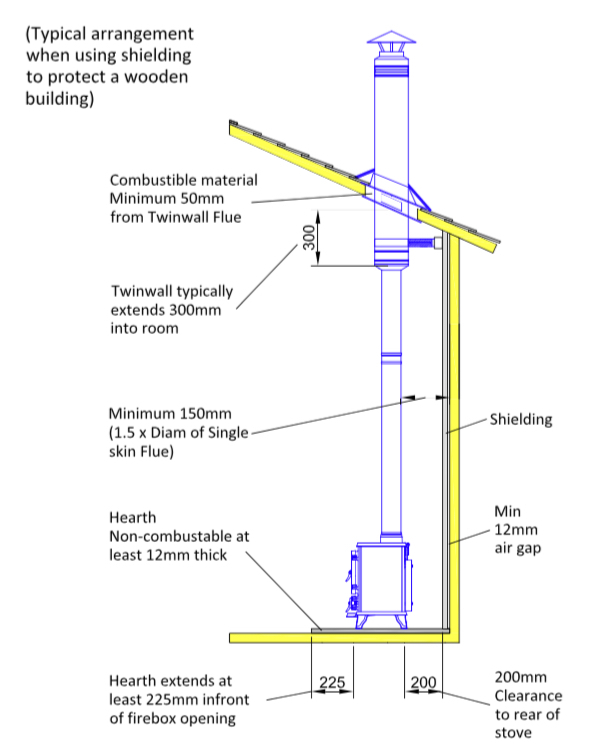 The safe distance being 200mm from a shielded wall and 400mm from a combustible wall.